Patient care has become a complex affair with a growing number of chronic diseases and their high prevalence in all parts of the world. For instance, the World Health Organization (WHO) states that by 2030 cardiovascular diseases will be the leading cause of deaths across the world. This shocking statistic has urged a large number of healthcare providers to offer solutions that are easily accessible and are affordable to the majority of consumers. Companies such as GE Healthcare, Boston Scientific Corporation, Philips Healthcare, Nihon Kohden Corporation, Siemens Healthcare, St. Jude Medical, Inc., and Welch Allyn, Inc. are all working towards devising simple solutions for the complicated matters of the heart. A recent research published by the European Society of Cardiology shows that introduction of next-generation smartwatches and devices, along with technological advancements, are bringing heart rate monitoring technology to the fingertips of a wide and growing consumer base. These devices come with an impressive ability to identify and diagnose arrhythmias including atrial fibrillation. With features such as connectivity, portability, and activity tracking, these devices are offering the best possible alternatives to non-invasive arrhythmia detection. These devices are expected to challenge the growth trajectory of the conventional cardiovascular monitoring and diagnostic devices market and revolutionize disease management for many users. They will also play a pivotal role in offering preventive measures to the users. Some of the key growth factors boosting the global cardiovascular monitoring and diagnostic devices market are drastically changing lifestyle habits, lack of physical activity or exercise, increasing number of smokers, and consumption of unhealthy diets. The other factors contributing towards the high prevalence of cardiovascular diseases are obesity, hypertension, and diabetes. The need for preventive healthcare is expected to propel this market at a CAGR of 9.7% between 2013 and 2019. Owing to these reasons, the global cardiovascular monitoring and diagnostic devices market is expected to reach US$7.0 bn in 2019 from US$3.7 bn in 2012. 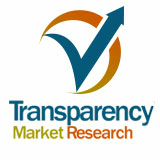 The global cardiovascular monitoring and diagnostic devices market is segmented on the basis of product and geography. The products available in this market are ECG systems for monitoring stress ECG and resting ECG along with event monitors, cardiovascular diagnostics catheters, implantable loop recorders, holter monitors, and ECG management systems. Geographically, this market is segmented into Asia Pacific, North America, Europe, and Rest of the World. North America holds the largest share in the market due to increasing patient awareness and the presence of state-of-the-art healthcare infrastructure supplementing it. However, Asia Pacific is expected to grow at a remarkable growth rate in the coming years due to increasing healthcare needs, rising expenditure on healthcare, and a growing patient population. Of all the product segments of the global cardiovascular, ECG systems held the largest share in the market due to an increasing consumer base preferring them owing to the convenience they offer. This growth is also being supplemented by the rising affordability of ECG systems. Analysts predict that implantable loop recorders will also show a good growth rate in the coming few years.